Excellent tour package. Worth the money. One day trip to many attaction points. Want to make your stay in Hokkaido a hundred times better? 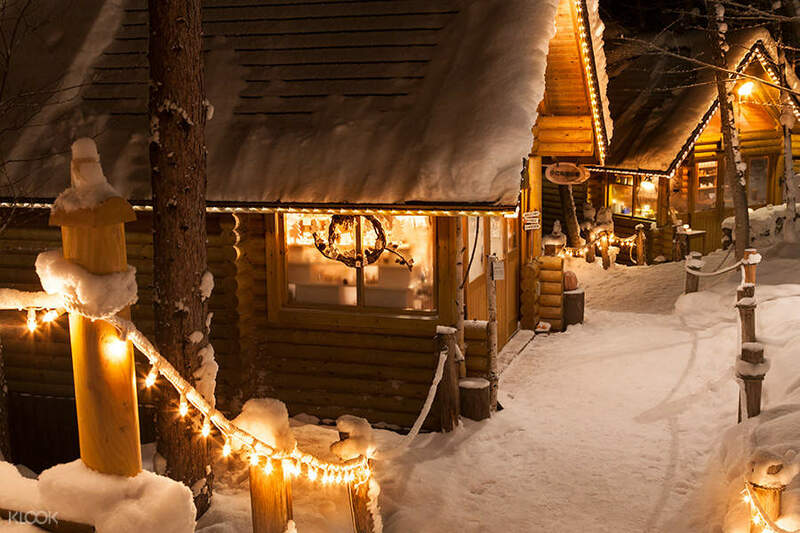 Take on an exciting full day adventure to the best and most popular attractions that Hokkaido has to offer. 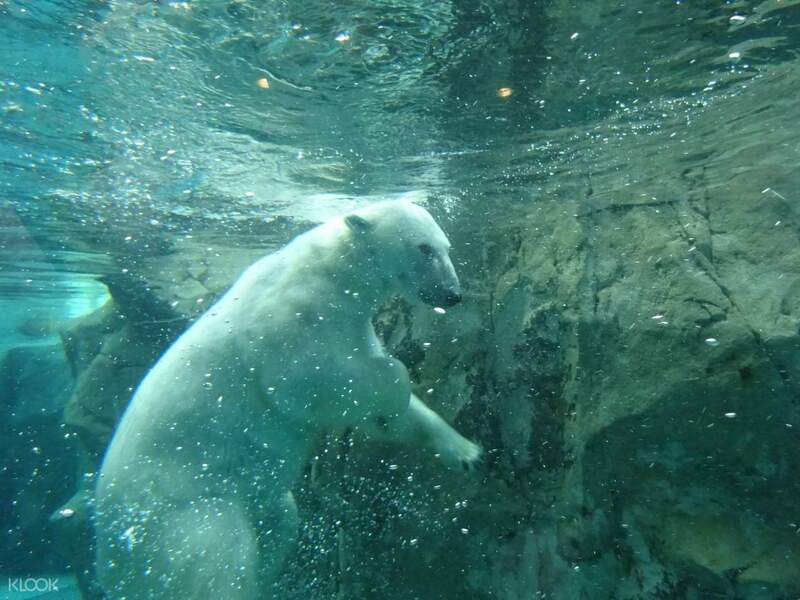 Go, get up, and make your way to Asahiyama Zoo, one of the most prominent zoos in the island, offering visitors spectacular views of the animals from different angles. 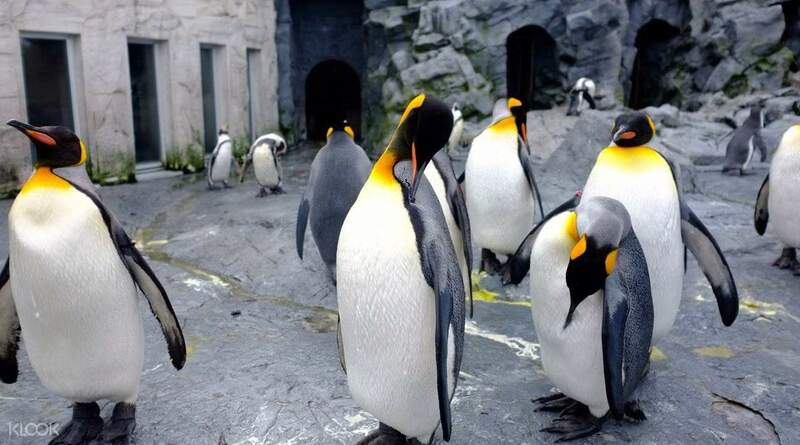 Get to see majestic polar bears, wolves, big cats, apes, and more inside - don’t miss the chance to pass through the glass tunnel of the penguin pool to see these cute little birds dance underwater! If you’re feeling a little hungry in the middle of the tour, don’t worry as you will get to replenish you energy with a delectable Japanese lunch at Kamifurano Herb Hill. 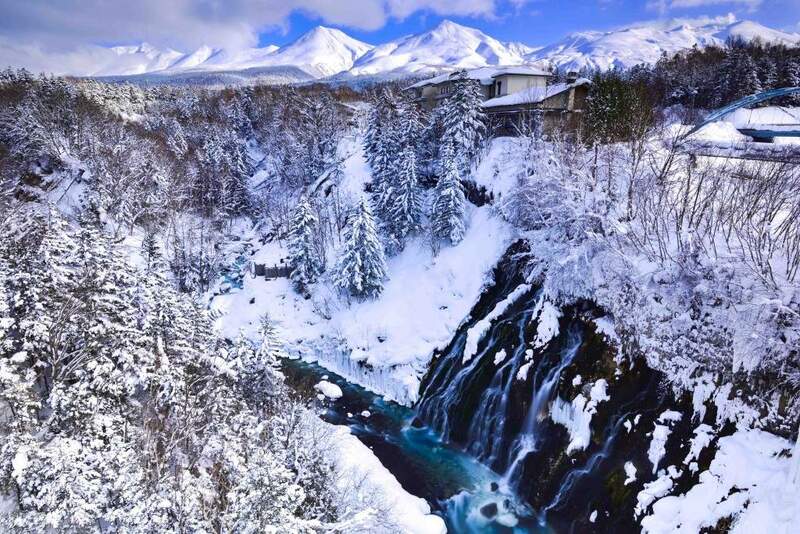 After a satisfying meal, head over to the breathtaking Shirogane Blue Pond to marvel at its unique azure waters, and move to Shirahige Falls right after. Have the luxury to relax and explore at your own pace around New Furano Prince Hotel, Ninguru Terrace before capping off the tour and being dropped off at your original departure point in Sapporo. Our tour guide Joe Lee was very professional and speaks understandable English. He ensures that while we are on the bus on our way to our destination, he gives us helpful information about Japanese culture and japanese nationalism. I love it that he makes us understand the importance of being on time on every call time and the impact it has to the bus driver. Joe deserves a bonus, you are lucky to have him in your team. Our tour guide Joe Lee was very professional and speaks understandable English. He ensures that while we are on the bus on our way to our destination, he gives us helpful information about Japanese culture and japanese nationalism. I love it that he makes us understand the importance of being on time on every call time and the impact it has to the bus driver. Joe deserves a bonus, you are lucky to have him in your team. Great experience... comfortable bus ride. with sumptuous buffet lunch included in the package. Great tour guide (Joe) who can speak english, spoke about his experiences and a little history of japan. Thank u klook! Great experience... comfortable bus ride. with sumptuous buffet lunch included in the package. Great tour guide (Joe) who can speak english, spoke about his experiences and a little history of japan. Thank u klook! It was one of memorable trips we made. Klook gave us an opportunity to see some of “must place visit” in Hokkaido, even though the tour guide Michelle was speaking Mandarin (English was very little!) we were still enjoying this trip. It’s very recommend to everyone who wants to traveling without any worries. Thank you, Klook! It was one of memorable trips we made. Klook gave us an opportunity to see some of “must place visit” in Hokkaido, even though the tour guide Michelle was speaking Mandarin (English was very little!) we were still enjoying this trip. It’s very recommend to everyone who wants to traveling without any worries. Thank you, Klook! This trip was GREAT! Our guide, Joe Lee was very knowledgeable and impressive and our bus driver was very professional. Time allotted for each place was sufficient and the views were simply breathtaking. Even if the Blue Pond was frozen white, my friends and I still found it beautiful. Thank you very much for this wonderful trip! This trip was GREAT! Our guide, Joe Lee was very knowledgeable and impressive and our bus driver was very professional. Time allotted for each place was sufficient and the views were simply breathtaking. Even if the Blue Pond was frozen white, my friends and I still found it beautiful. Thank you very much for this wonderful trip! Very good tour! We have a very nice experience with the tour. Joe, our guide is very fluent in English, plus, knowledgeable about Japanese culture. We know and understand Japanese culture a lot more. Thank you! Also, the driver is very polite, helpful and friendly. The places we visited were very beautiful and memorable and the weather was really nice on that day (-14 c but sunny). Defenitely, we will book the tour next time if we come to Japan. Very good tour! We have a very nice experience with the tour. Joe, our guide is very fluent in English, plus, knowledgeable about Japanese culture. We know and understand Japanese culture a lot more. Thank you! Also, the driver is very polite, helpful and friendly. The places we visited were very beautiful and memorable and the weather was really nice on that day (-14 c but sunny). Defenitely, we will book the tour next time if we come to Japan. Worth to go. Our tour guide, Michelle was very friendly and informative. Although it was slightly rush but we enjoy ourselves a lot. The buffet lunch was very pack but food is good. 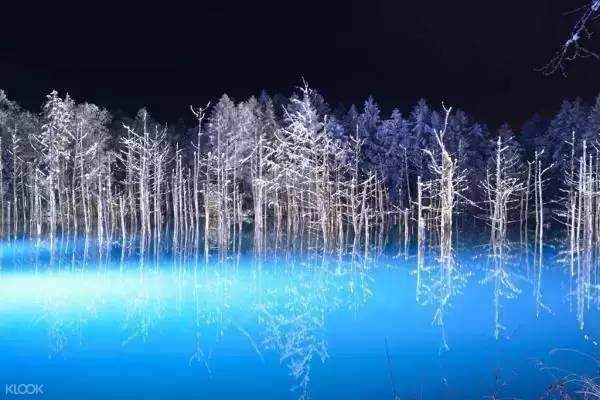 The down side is the blue pond as it was all covered by snow, suggest to drop this place if it nothing much to visit and extend the time at other attractions. Worth to go. Our tour guide, Michelle was very friendly and informative. Although it was slightly rush but we enjoy ourselves a lot. The buffet lunch was very pack but food is good. The down side is the blue pond as it was all covered by snow, suggest to drop this place if it nothing much to visit and extend the time at other attractions. We had joe as our tour guide and he was really funny and informative. Don’t miss out on this super affordable four away from the city. It was soooo worth it. Even transportation on your own would be expensive. We had joe as our tour guide and he was really funny and informative. Don’t miss out on this super affordable four away from the city. It was soooo worth it. Even transportation on your own would be expensive. Absolutely loved it! Our guide michelle was very lovely.. she was chirpy and lively in the morning yet giving us plenty of self time during the long drives (who doesn’t just want to look out at the scenic drives or take a snooze) Delivery was mainly made in mandarin and she squeeze in occasional English where she can.. so I definitely only recommend Chinese speaking guests. Wished we had a bit more time at the zoo but it was good enough to be able to visit so many attractions in a day. Worth every penny of it we paid for. Lunch though crowded, the buffet was alright for a mass catered meal. Penguin parade at the arashiyama zoo was sooo adorbs! We were lucky that the penguins were enjoying themselves that day and we even sneaked in two other enclosures before they u turn and came back to their enclosure. Absolutely loved it! Our guide michelle was very lovely.. she was chirpy and lively in the morning yet giving us plenty of self time during the long drives (who doesn’t just want to look out at the scenic drives or take a snooze) Delivery was mainly made in mandarin and she squeeze in occasional English where she can.. so I definitely only recommend Chinese speaking guests. Wished we had a bit more time at the zoo but it was good enough to be able to visit so many attractions in a day. Worth every penny of it we paid for. Lunch though crowded, the buffet was alright for a mass catered meal. Penguin parade at the arashiyama zoo was sooo adorbs! We were lucky that the penguins were enjoying themselves that day and we even sneaked in two other enclosures before they u turn and came back to their enclosure. Our guide was in English and the tour guide Joe from Hong Kong was very knowledgeable and friendly. The tour was on time and we managed to go to all the places within the stipulated time. The time allocated for the tour was quite rush especially the Furano village where the time there is only 25 minutes. The lunch buffet provided was buffet style. It would be better if Japanese set meal was provided instead. Our guide was in English and the tour guide Joe from Hong Kong was very knowledgeable and friendly. The tour was on time and we managed to go to all the places within the stipulated time. The time allocated for the tour was quite rush especially the Furano village where the time there is only 25 minutes. The lunch buffet provided was buffet style. It would be better if Japanese set meal was provided instead.